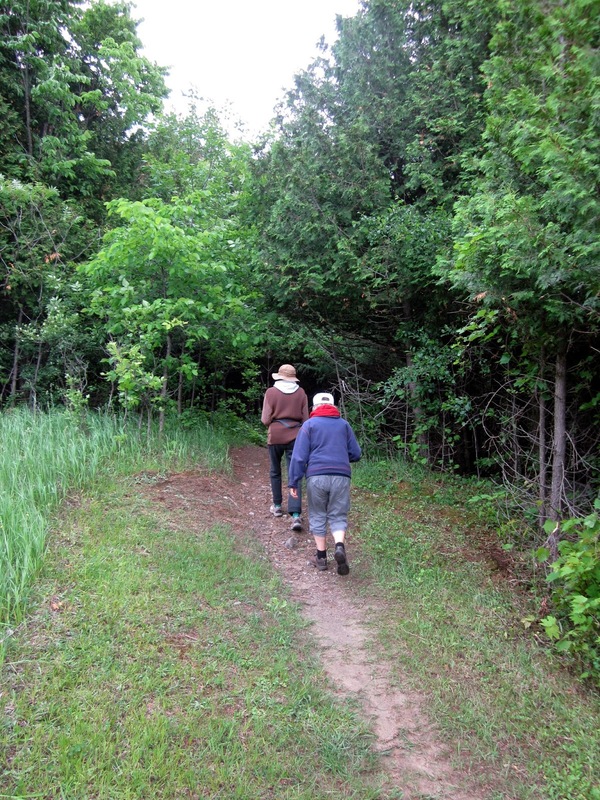 Last Saturday, my friends Holly, Fran and I went for a walk in the woods in Voyageur Park. 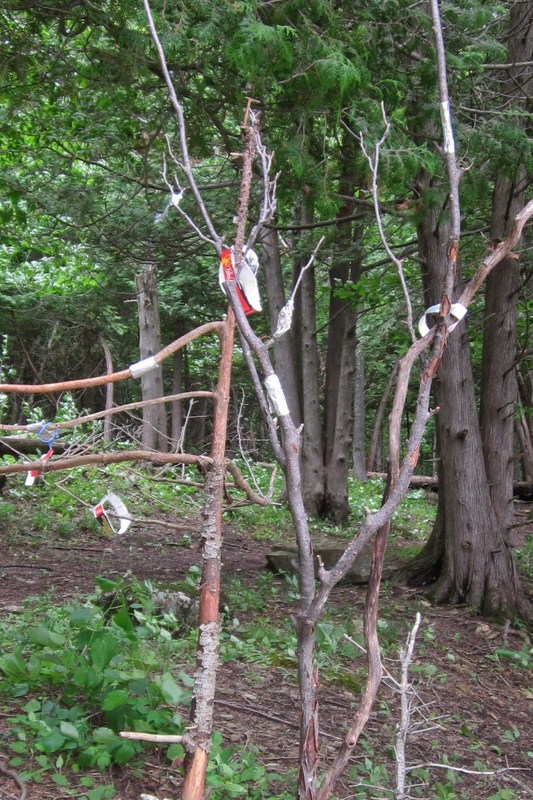 We planned to make an installation out of found materials somewhere along the walk. Our route took us along the edge of the river. It was very lovely in places. We found a nice spot where there was an opening to the river and a tree that was leaning over. Holly wedged some branches upright at the base of this leaning tree using rocks and placing one of the branches in a crack in the tree. I found a piece of red plastic and placed it between the branches. 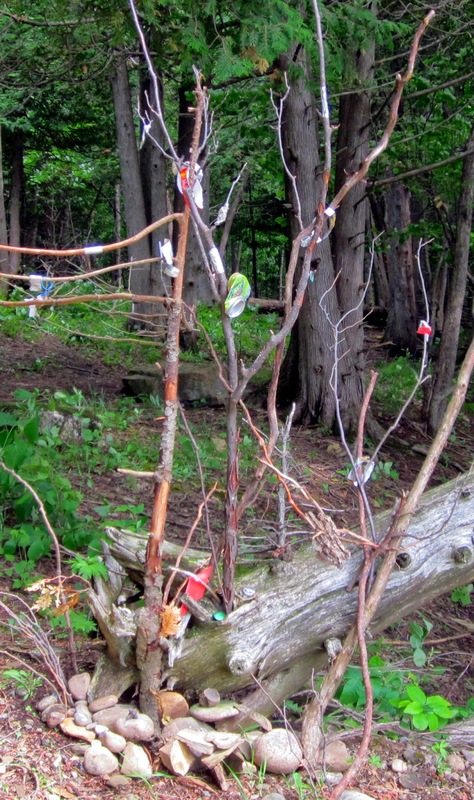 We added various found materials to the branches. I found some tin foil from an empty cigarette package that someone had tossed in the woods, and wrapped it around the branches. We also made paper loops from the package and hung them here and there. 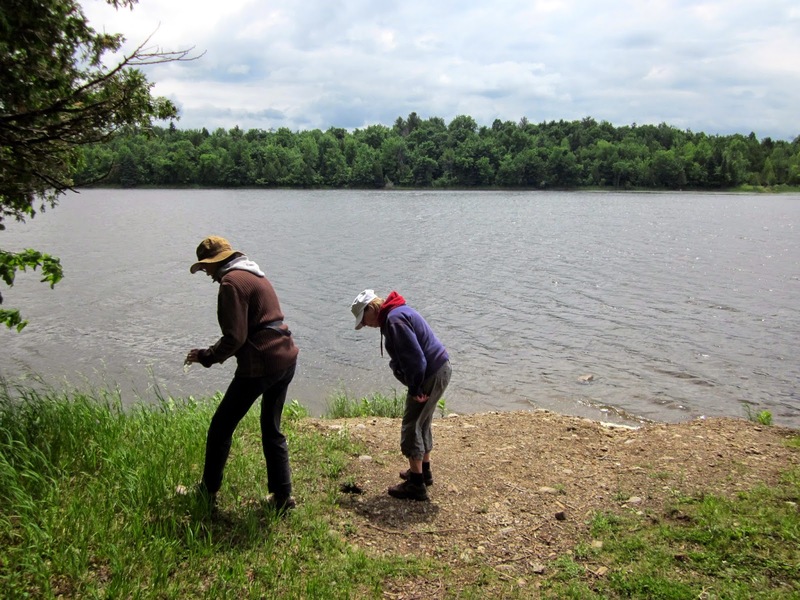 Holly and Fran foraged for more materials by the water. There was a lot of litter - pieces of broken glass, bottle caps, a fish hook... Everything got added to our installation. Happily, the sun came out while we were working (it had been such a dull grey day until then!). 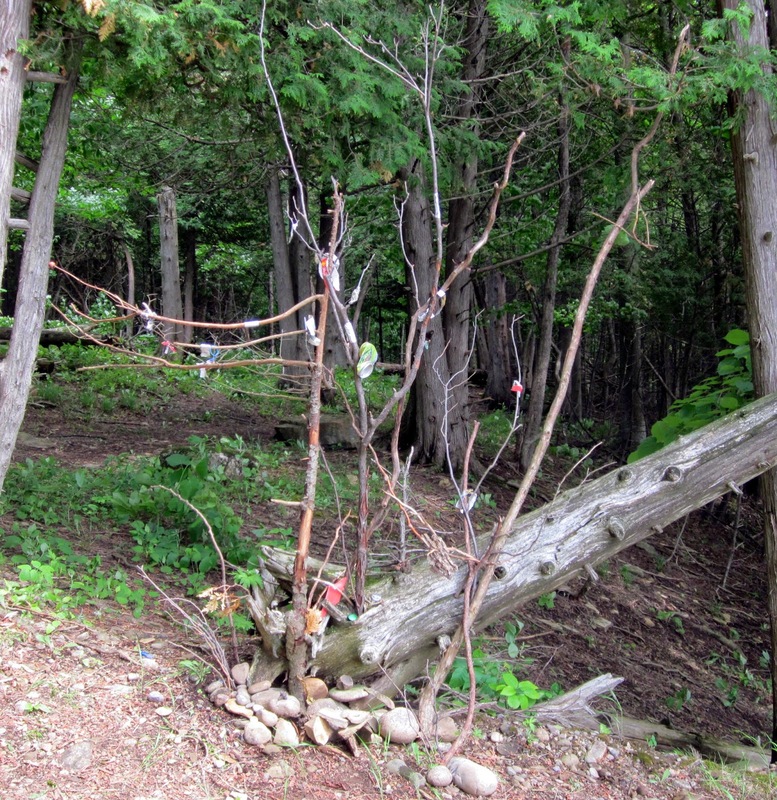 We kept adding our bits and bobs, placing more rocks, hanging, weaving things together. 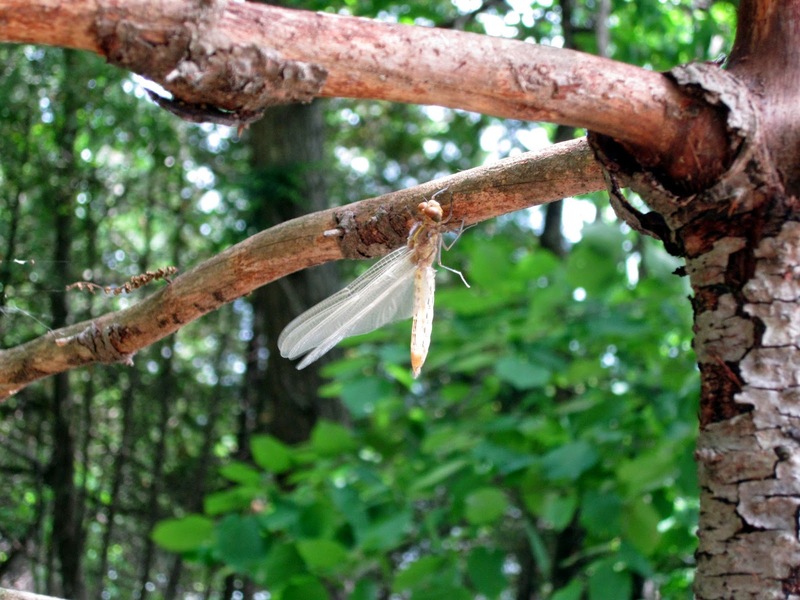 As we worked, a beautiful pale white dragonfly landed on one the branches in our installation. It was like a living addition to the work. It also felt like nature sending us a sign of approval! The final installation had a lot of colour! 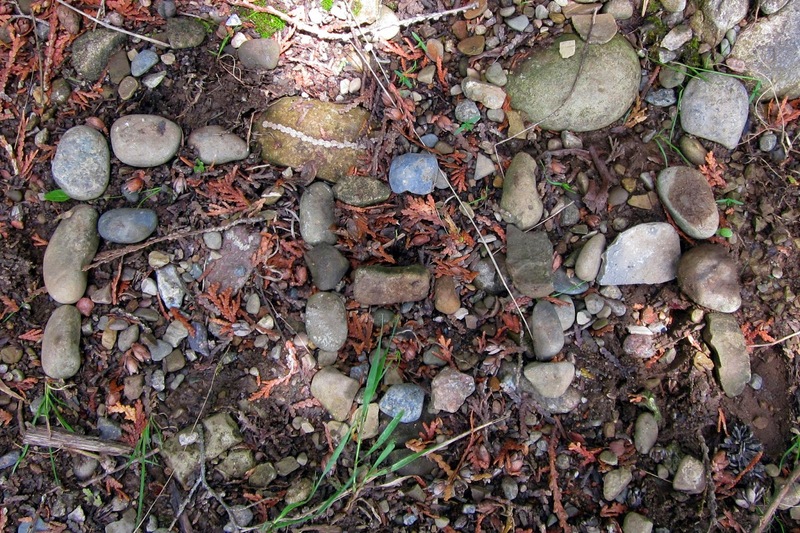 Anyone walking along the path would be able to see it. We are hoping that other people will add to it. It was a really interesting, mind-stretching and fun way to create something. We hope to be able to do this again. Fantastic. What a creative, fun idea!! I love it! 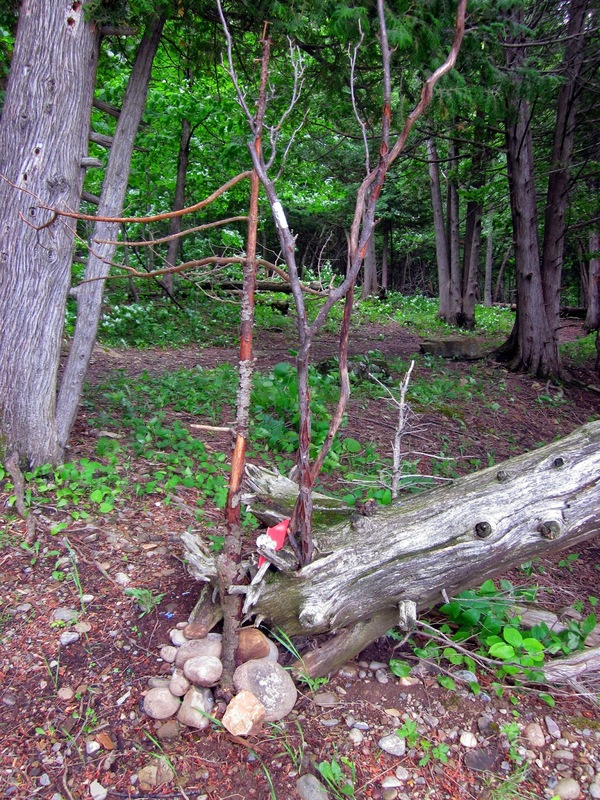 Natural installations are such great outlets, and I love the collaborative nature (within your group and with passer-bys who may add to it). Your group name is hilarious. 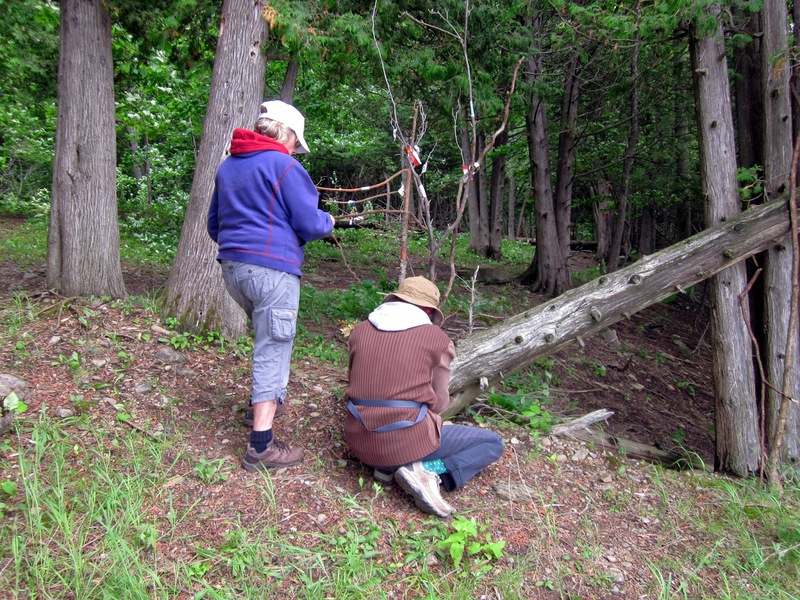 Here is a photo of me building some totems in the woods in Quebec in 2009.